If you own an Essential Phone, we have important news to share with you - both good, and bad. The good news is that Essential is updating its smartphone from Android 7.1 Nougat directly to Android 8.1 Oreo, thus skipping on the initially-promised update to the older version of Oreo (8.0). The bad news is that this is delaying the public release of the update "by a couple of weeks." 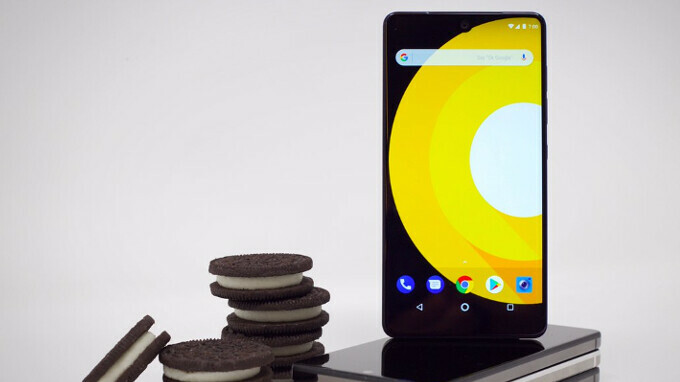 According to Essential, Android 8.0 Oreo includes some stability issues that shouldn't be present in version 8.1 - that's why a direct update to 8.1 makes more sense. 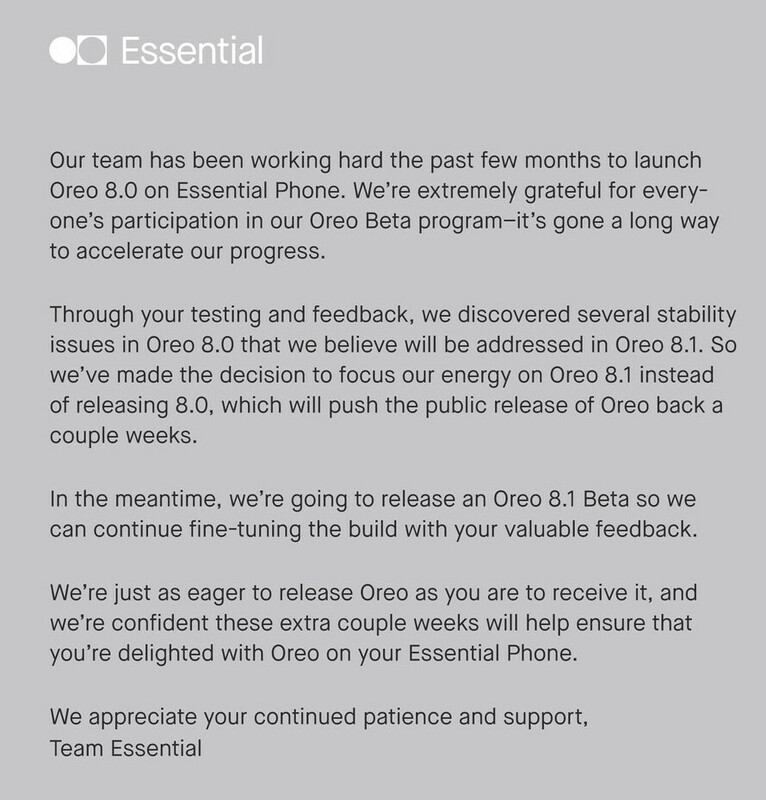 That being said, the company currently doesn't have an exact date for when all Essential Phone owners will be able to download Android 8.1 Oreo, but this should happen sometime in February anyway. Meanwhile, Essential is fine-tuning Android 8.1, and will launch a beta build for interested users to test it and provide feedback. Hopefully, everything goes as planned, and the final Oreo update will be available to everyone soon. This is pathetic, but hopefully after this Oreo update we have fewer issues with updates. This may be the hardest update for most OEMs due to the separation of the core OS from OEM implementations from project treble. Not pathetic at all. I'd rather they take there time and get it right. I love my essential phone and switch back and forth with my pixel 2 xl all the time. Absolutely the best form factor in any phone I've ever had and I've had most all of them! Not saying its a bad phone, mine works flawlessly. Just the fact that it is supposed to be as AOSP should mean they can deliver on updates within 3 months. It is the hardest update of all though which is why I am still sympathetic to their situation. This is great support for what is largely considered a "failed" device. If nothing else, it's good to see as it builds consumer confidence in whatever the company decides to put out next. Hope Samsung doing the same with note 8 update.